BALTIMORE – During our lifetime, three Fed chiefs have faced a similar challenge. Each occupied the chairman’s seat at a time when “normalization” of interest rates was in order. Yesterday, we remembered William McChesney Martin, head of the U.S. Fed under the Truman, Eisenhower, Kennedy, Johnson, and Nixon administrations. 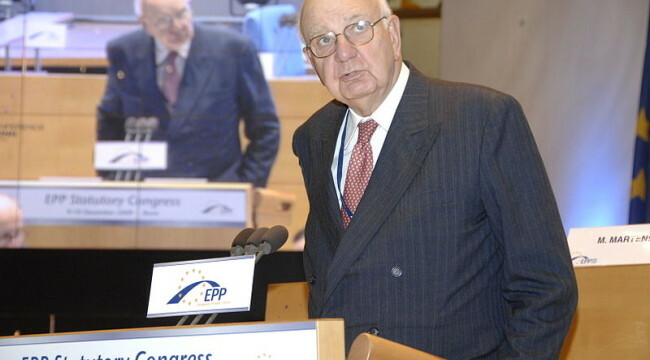 Today, we compare Martin with two of his successors, Mr. Paul Volcker and Ms. Janet Yellen. We allow you to draw your own conclusion. In 1951, the Fed and the Treasury clashed over “normalizing” interest rate policy after almost 10 years of tight control. In 1942, after the U.S. entered World War II, and at the request of the Treasury, the Fed pegged interest rates at a low level to make it easier for the government to finance the war. Come peacetime, it had to finesse a return to market-set rates. Of course, the Fed can never fully shirk its responsibilities or ignore its influence. Its voting committee, the Federal Open Market Committee (FOMC), has the ultimate say on setting short-term rates. But its hand on the controls can be heavy… or light. It can allow the market to express itself. Or it can shut the market up and do the talking itself. After the troops came home, Martin developed two metaphors to describe his views on central banking. The first was that the central bank should neither set rates high nor low, but instead “lean into the wind.” The idea was to moderate market forces by exerting a little countercyclical pressure. If the economy were running hot, the central bank would maintain its funds rate a little higher than usual. If the economy were cooling off, it would aim for a slightly lower rate. That brings us to the second of Martin’s metaphors. The job of the Fed, he said, was to “take away the punch bowl just as the party gets going.” In other words, raise interest rates just when the economy starts to enter an unsustainable boom. Mr. Martin was not necessarily less intelligent than those who succeeded him. But times change. Fashions evolve. Today, Truman’s appointee as Fed chief might as well be wearing spats. In February 1951, the annual consumer price index, or CPI – the most common measure of inflation – was running at almost 8% a year. President Truman summoned the entire FOMC to the White House – with Martin as the principal negotiator – to extract a pledge from them to keep interest rates pegged at low levels. Martin then announced that he would allow interest rates to rise. And rise they did. From just under 1% when Martin took over as Fed chief, short-term rates stood at almost 4% at the start of the 1960s. The next challenge came at the end of the 1970s. Paul Volcker, appointed by Jimmy Carter, was the man for the job. When Volcker took over the Fed, in August 1979, short-term rates and the CPI were somewhere north of 11%. And he aimed to bring both down to more normal levels. But then as now, inflation had its friends. And everyone knew that bringing it under control would be painful. After decades of inflation, many of us, more or less comfortably, have adapted our business and personal lives to the prospect of more inflation. We count on capital gains from inflating house and land values as a substitute for real savings. We assume our competitors will match our aggressive pricing policies, and will also accede to high wage demands. We take comfort in our purchases of precious metals, art, and more exotic “collectibles” – or envy those who did buy – and are tempted to project essentially speculative price movements into the great beyond. But none of this sense of accommodation to inflation can be a valid excuse for not acting to deal with the disease. Getting inflation under control meant taking away not only the punch bowl, but also the entire buffet and open bar of money and credit on which the markets feasted. But Volcker did not back away. He said what he meant and meant what he said. In June 1981, he dosed the economy with a 19.1% federal funds rate; in a few months, the fever was broken. And now, we have Ms. Janet Yellen at the Fed’s helm, her firm grip on the wheel… her steely eye on the horizon. The situation is nothing like that which Mr. Volcker faced. Instead of a CPI in double-digits, today, the Fed is worried that consumer prices are not going up fast enough. “An important concern about persistently low inflation,” is how Fed governor Lael Brainard described what was disturbing her sleep. And $7 trillion of developed-country government debt now trades at yields below zero – providing governments around the world with free money. Getting back to normal is never easy, especially when you don’t want to get there. On March 27, 2015, Ms. Yellen spoke to her challenge. “Normalizing Monetary Policy: Prospects and Perspectives” was the title of her speech. But both the content and the consequences were very different from those of either Mr. Volcker or Mr. Martin. Where Mr. Martin had insisted that dictating interest rates was “inconsistent with… a private enterprise system,” Ms. Yellen saw no inconsistency at all. Where Mr. Martin saw the need in a great emergency – World War II – to depart from market-set interest rates, Ms. Yellen is ready to leave the market behind at the drop of the Dow. And where Mr. Martin and Mr. Volcker both went resolutely about their work, Ms. Yellen seems unsure. A year ago, she said she would normalize rates “only gradually”… and that, although she had the “macro-prudential regulatory and supervisory tools” to do the job, investors should not expect miracles. Nor did they receive any. In the 12 months that have gone by since her speech, only 25 basis points (even sparrows refuse to bend to pick up such trivial morsels) is the total of her niggardly gift to savers. As for “normal”… it is still nowhere in sight.